Your net worth is simply, total assets – total debts. This is a financial number franchise companies often look at to evaluate if you have enough money to invest in a franchise or business opportunity. Knowing your financials far in advance of researching franchises to own, will allow you the time you may need to grow your assets and decrease your debts. Growing your net worth is something anyone can do with dedicated commitment and action. The goal is to decrease debts or money you owe and increase assets. Debts are credit card balances, loans. Assets are bank account balances, retirement savings, value of stocks and bonds or investments. Also remember your financial picture is going to be constantly changing over time. 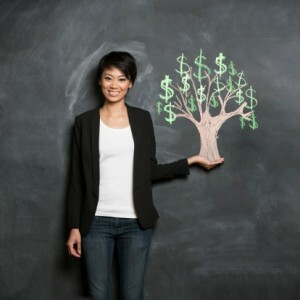 What your financial outlook is during your 20’s and 30’s is quite different than what it is in your 50’s, 60’s and older. But what should your net worth be by age? It depends on many variables, lifestyle and financial or career goals. To get started, use this net worth calculator to figure out your own numbers. While this is a simple idea, it can be easier said than done. Outlining how you are going to accomplish meeting your financial goals on a regular basis is a good idea. Smaller, frequent goals will help you succeed and should include a complete change of perspective on how you are spending and saving your money. There are many ways to save more money and be smarter about your budget, and tons of resources out there to help you. Setting short and long term goals is a good start. Set out with weekly, monthly and yearly goals. Check them often, and adjust as necessary.